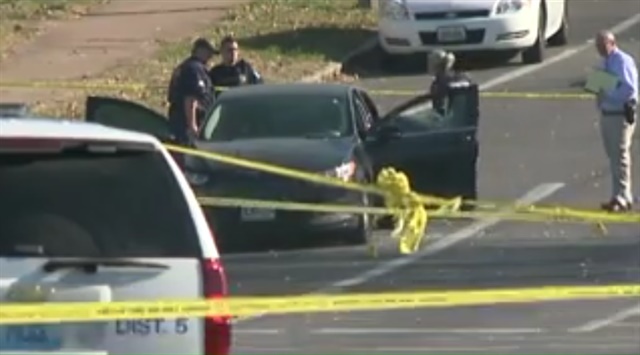 There has been an increase in suspects committing carjackings with rifles in the city of St. Louis. Police say officers were investigating this crime trend Tuesday morning when a suspect pointed a rifle at them. The officers were running plates on a stolen Nissan Altima in northwest St. Louis city. The vehicle was under surveillance because police believe it was used in several carjackings. A man got out of the vehicle at at stoplight at around 11:20am and pointed an AK-47 rifle at them, police say. He told the officers to get out of the vehicle. The 21-year-old suspect from north St. Louis County was shot in the arms and legs. He dropped to the ground. Police say his injuries do not appear to be life threatening. He is being treated at an area hospital. The vehicle he was in then sped away with at least one other occupant inside, Fox 2 News reports.